Last week we went on vacation with my husband's family. 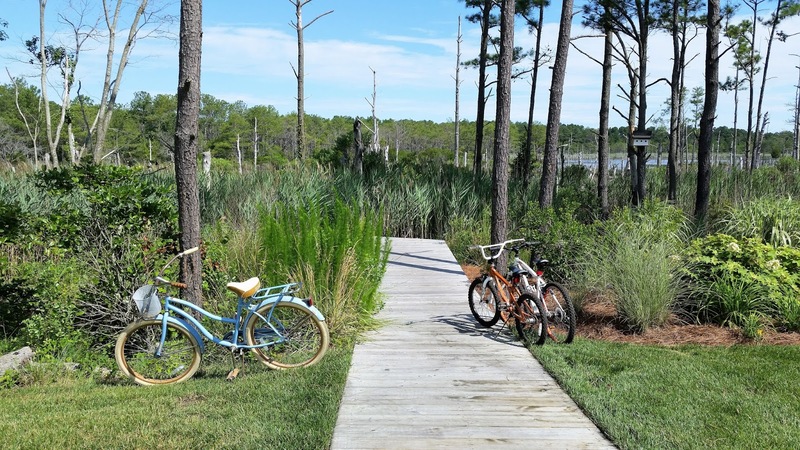 Each summer for the past ten years, we've traveled together for one week each summer to the shore of Delaware, sometimes near Fenwick Island, and this year on the north side of Bethany Beach, toward Dewey and Rehoboth. For obvious reasons, I love the idea of vacation. It's a chance, quite literally, to vacate your normal routine. I stepped away from teaching and campus, and I checked email just enough to be considered borderline responsible. This was good. Even better, vacation is a time to have new experiences, a few of which I'll detail here for you. 1) Car Troubles. About halfway to the beach -- deep enough to be far away from home, yet not deep enough to be close to our destination -- the transmission of our minivan spontaneously died. It was ugly. 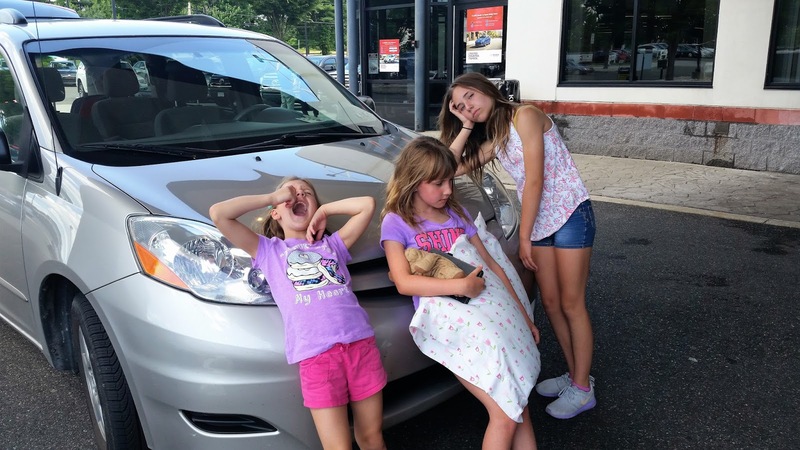 I never had given much thought how we'd navigate a breakdown on the highway en route to vacation, and I'll spare you the details, except that it involved a long wait and small rental vehicle. I should add that our rental car was the cleanest vehicle that I have traveled in for the last decade, which (almost, but certainly not quite) made me forget about the accompanying expenses. 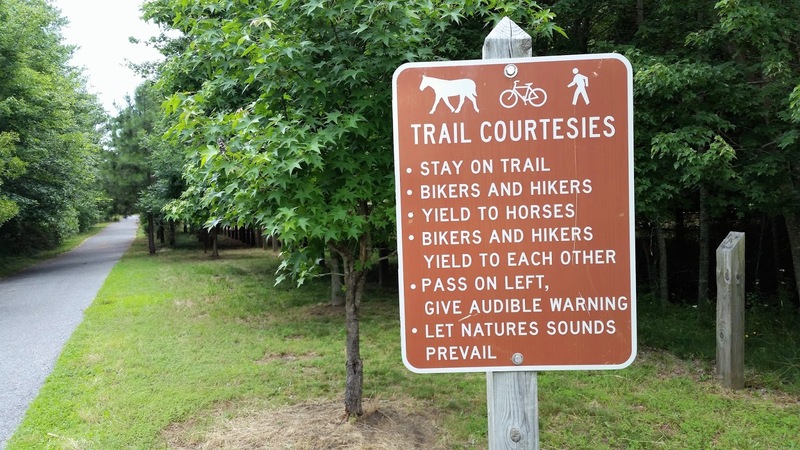 2) New Running Trails. Almost every morning before the heat of the day, my husband and I took a run. I'd like to report that we ran together, but he's much faster than I, so he'd join me for my first mile (his "warm-up") before I'd continue at my slower pace. 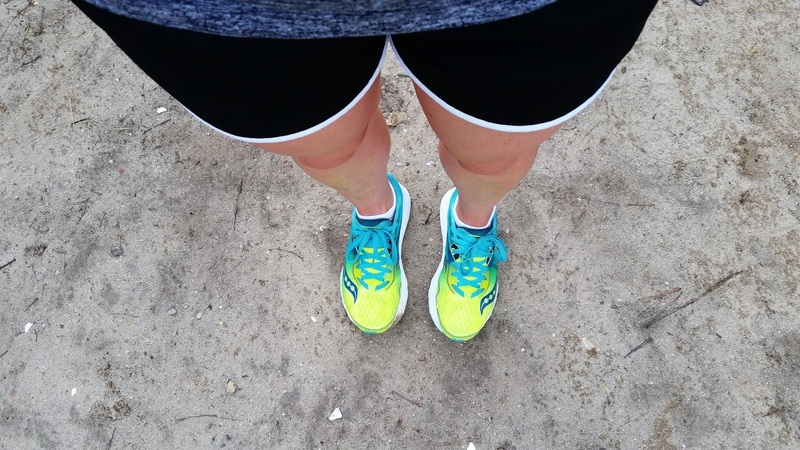 Plus, one of the trails led me to a scenic outlook where I paused to catch my breath, watch the water on the bay, and take a picture of my feet, because you take pictures of your feet when you're on vacation. 3) Kayaking. 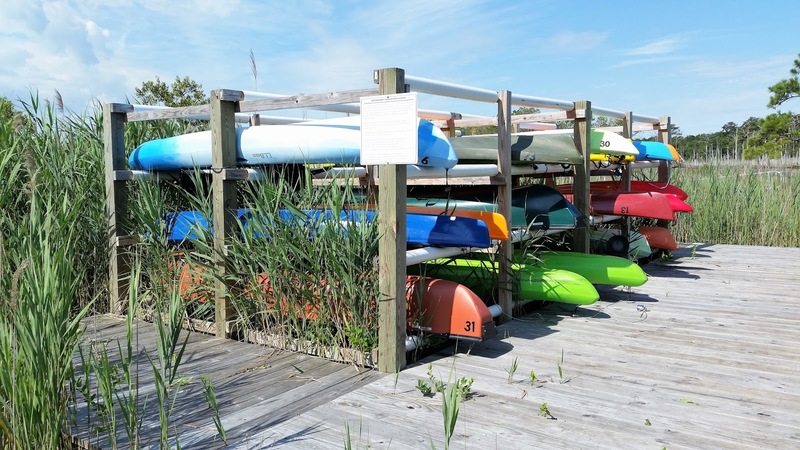 Our rental house had a kayak for our use just a short walk away, and one evening while I was on a solitary kayaking expedition, I saw a bald eagle. He was so close I could see the yellow of his beak as he flew overhead, and then he landed in a pine tree where I sat and watched him, paddling every so often to keep myself anchored to the spot. I had no phone with me to capture a picture, but I think I preferred just having the moment to myself. 4) Funland. 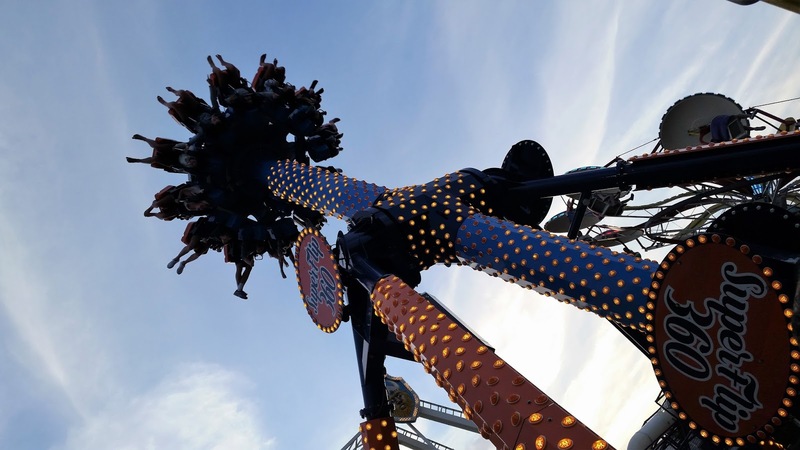 There's nothing new about our family visiting Funland at the Rehoboth Boardwalk, given that we've been taking the kids there for years, but this year Funland had a new ride: the SuperFlip 360. I was born for rides like this. 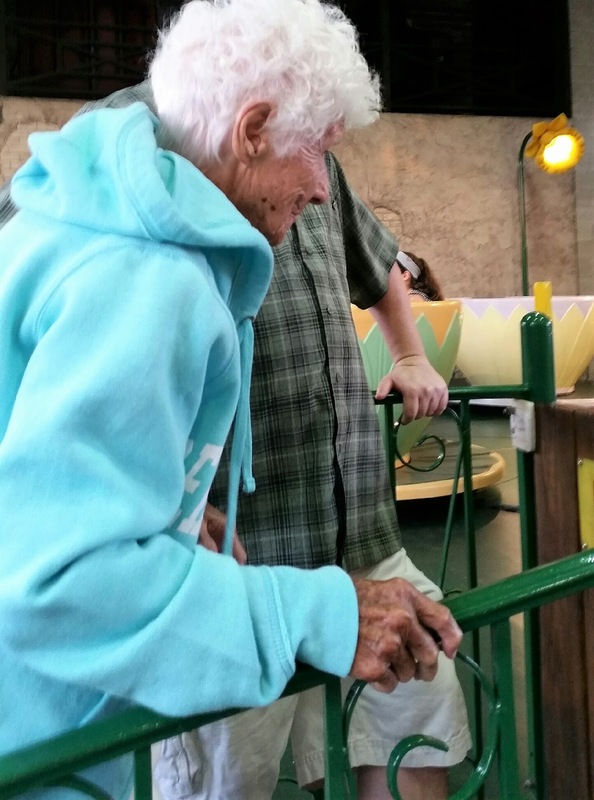 But the moment I loved the most -- even more than riding with my kids, or the happy nostalgia of the books of green Funland tickets -- was when we met a 100-year-old woman who was in line to ride the tea cups. That is how you live life. You ride the tea cups on the boardwalk when you're 100. 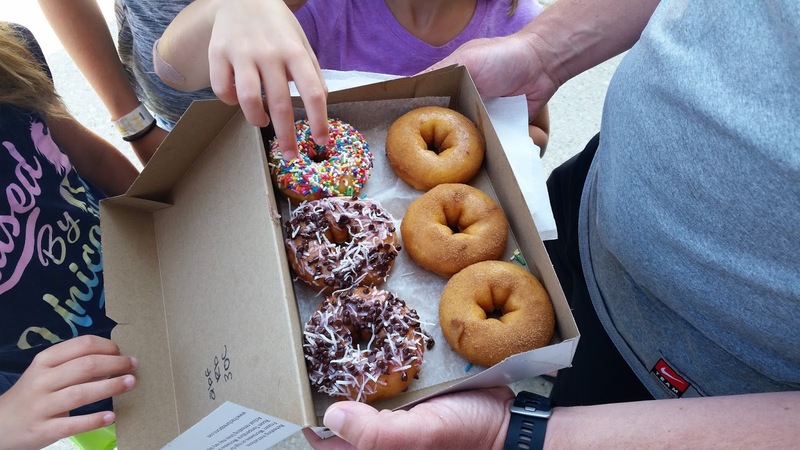 5) The Fractured Prune. Nobody in our family quite understands the name, but we were told a few years ago that we should visit a Fractured Prune doughnut shop. This year we finally did. I'm generally not a huge fan of doughnuts, as I have plenty of other dietary vices, but these were good doughnuts. 6) Yahtzee. My mother-in-law and I played four rounds of Yahzee during the week. 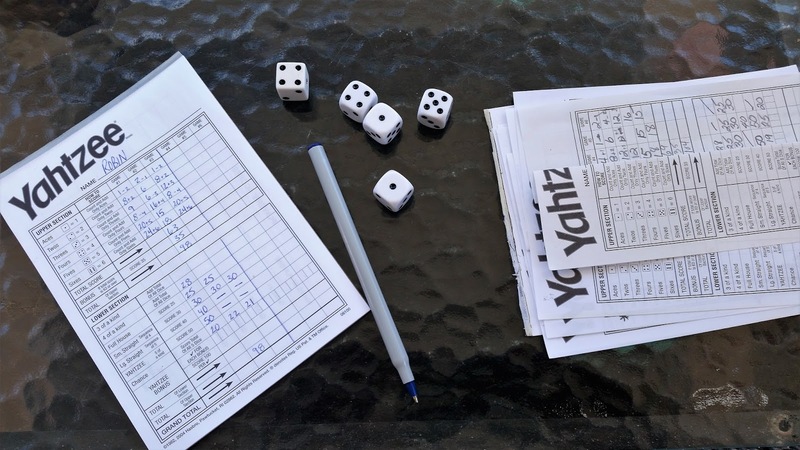 When we play, we don't just play a single column, either; we play Triple Yahzee, which gives you more places to bury bad rolls. I was on a hot streak for three games (one game I rolled four Yahzees! Four of them, I tell you! That's a new record! ), but I was slaughtered during the final game. Alas, you can't win them all. 7) Sunscreen. 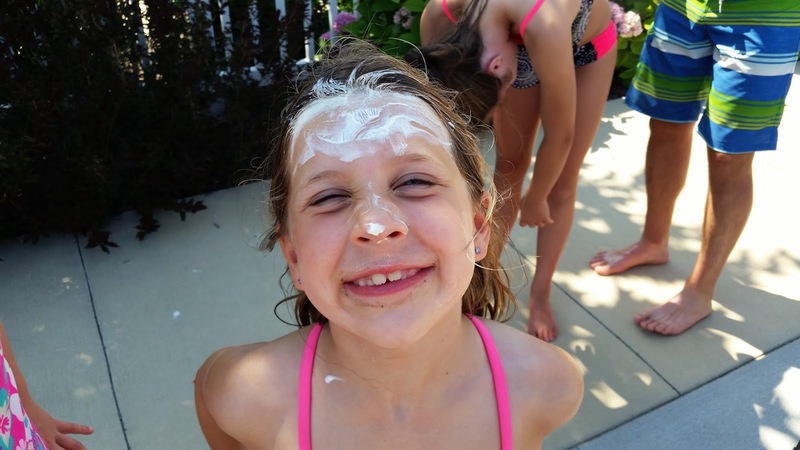 We've had this one bottle of sunscreen forever. It never expires, and we frequently use it, yet we can never finish it. My husband and I both marvel: how does this sunscreen never run out? It's a mystery wrapped in an enigma. Well, this vacation, it finally ran out. 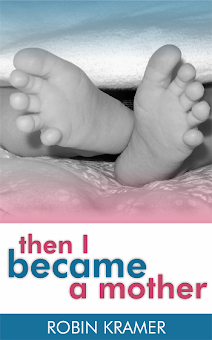 I have her to thank. Now we're returning to the standard nuts and bolts of life back at home, like unpacking, doing laundry, buying groceries, and getting caught up with the mail. It's good to come back to regular life, but I'm always thankful for that week-long chance to vacate it in the first place. Bald Eagle moment = AMAZING. 100 Year old woman riding the tea cups? Even MORE AMAZING. I want to be her when I grow up, too, Christine!